Dolly, our 8 year old Cavalier King Charles Spaniel, snores. I mean this old girl can move the curtains with her snoring. As she has gotten older, her snoring has gotten even louder (is that even possible?). Dolly sleeps in her bed, next to our bed, so we’re all ‘in this together.’ Lately, her snoring has gotten so LOUD and so PROLONGED that it effects our sleeping so we’ve been trying to find ways to stop her from snoring other than snapping our fingers, rubbing her ears, or loudly calling her name, “DOLLY STOP THAT.” We’ve even resorted to ear plugs lately so we can get some sleep but that is not a permanent solution that either one of us finds acceptable for long term use. We’ve looked online for homeopathic dog-snoring remedies or suggestions to help us with our problem and found nothing of substance. I thought to myself, “If I could find a solution to stop or reduce her snoring, it would change our life and other people would love it.” So, I’ve continued my search and experimentation for a simple solution. Last night was a Popeye moment for me. As Popeye said before he gulped an entire can of spinach, “I’ve had all I can takes and I can’t takes no more.” I was ready to move her out into the garage so I could get some sleep when I had a brilliant flash of insight, “Hmmmm. 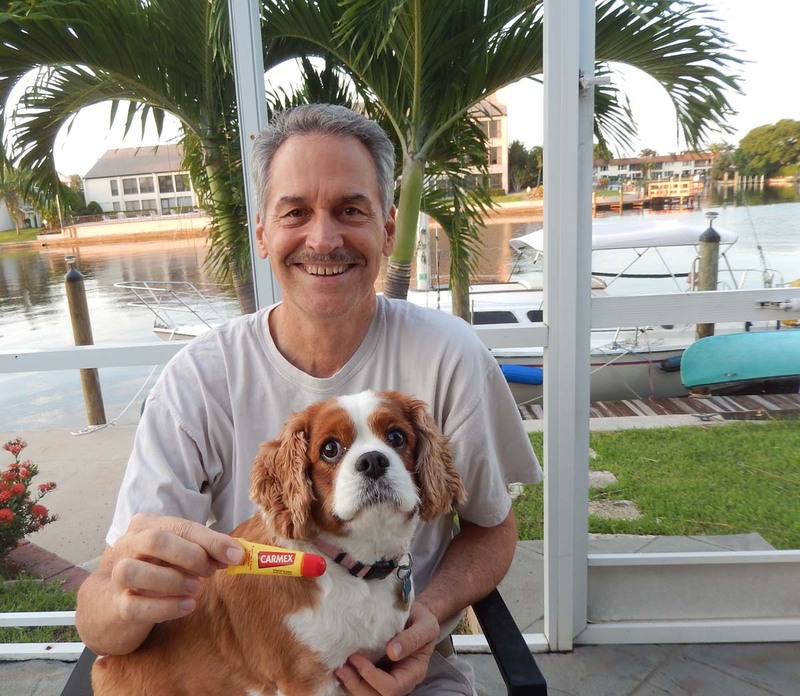 She could breathe more easily if I could find a way to gently open her nasal passages.” And, I reached into my nightstand and found a tube of a lanolin-based lip balm that has a touch of camphor and menthol in it, Carmex®, in the back of the drawer. I squirted a small amount on my fingertips and rubbed it on her sweet black nose. She snorted once, licked her nose and then instantly fell asleep again and her snoring was reduced by about 80% for the rest of the night. Carmex® has a slight numbing effect and the camphor and menthol must also help open her nasal passages. 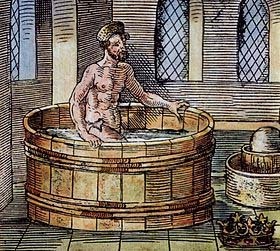 (From Wikipedia) 16th-century illustration of Archimedes in the bath, with Hiero’s crown at bottom right. I’ll keep you posted on our anti-snoring campaign. If YOU have any suggestions, please send them to me! 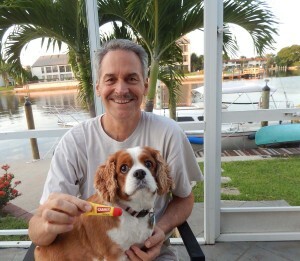 And if Carmex® works for your dog, please let us know! We’ll post pictures of you and your pet along with your solutions.